accredited by the European premium Accreditation Board known as DAKKS Germany. AQC is Looking for the franchise partner worldwide to expand its operation for ISO Certification Activities. DAKKS Germany is the signatory member of IAF MLA and very well know in the worldwide ISO certification industry. AQC is ready to shake hands for the DAKKS Germany Accreditation with the capable, competent and financially sound Partners worldwide to make it presence globally and increase the business. In this type of Partnership Franchise partner shall responsible for the Marketing and auditing activities too. Franchise partner must have competent staff as per ISO 17021-1:2015 standard. 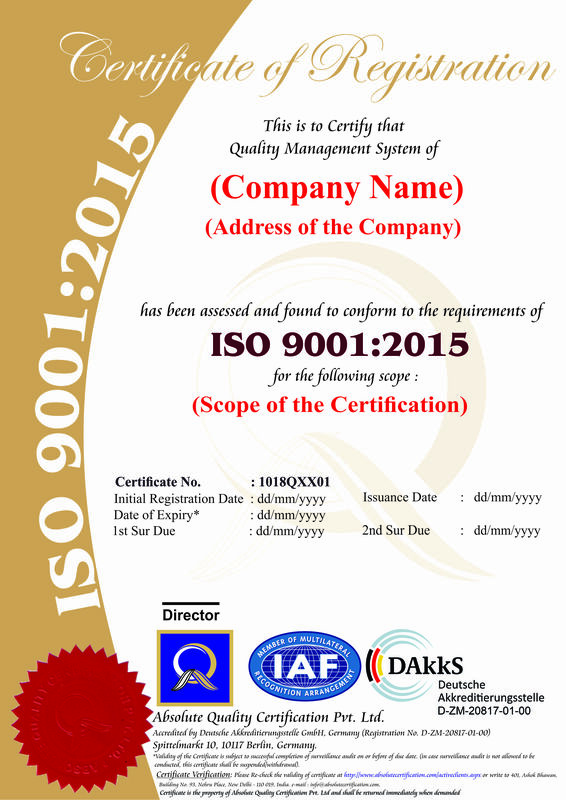 Apart from it Office assessment and witness audit shall carry every year from AQC as well as DAKKS Germany for ISO Certification. ISO Consultant or ISO Consultancy? AQC or DAKKS Germany does not provide the ISO consultant or ISO Consultancy to the client as this is the conflict of Interest and it is against the rule of Impartiality. Therefore AQC provides only the ISO Certification and Auditing services. AQC or its of partner does not or can not provide the ISO Consultancy.